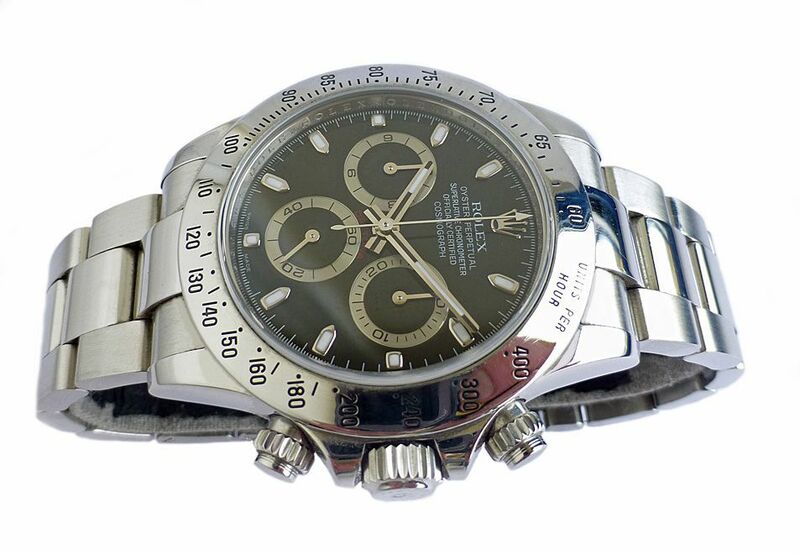 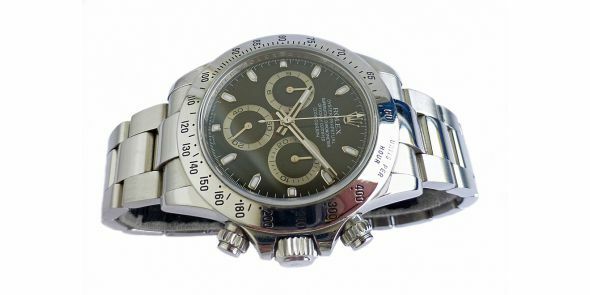 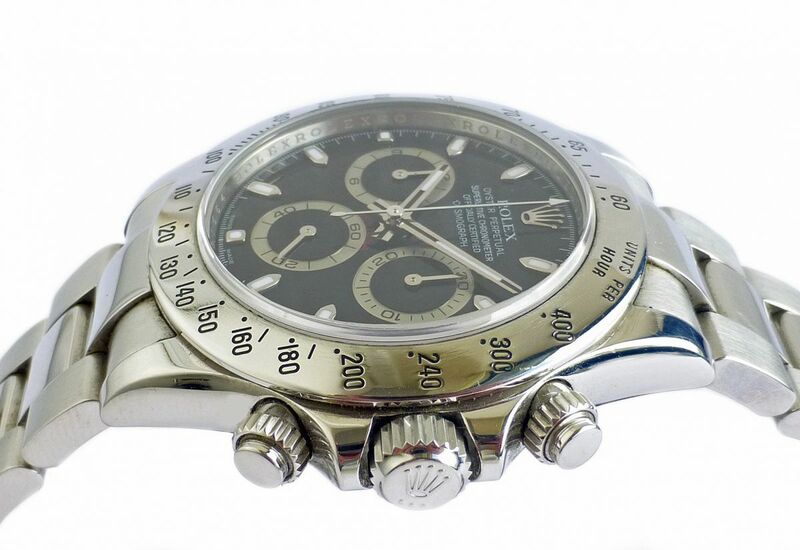 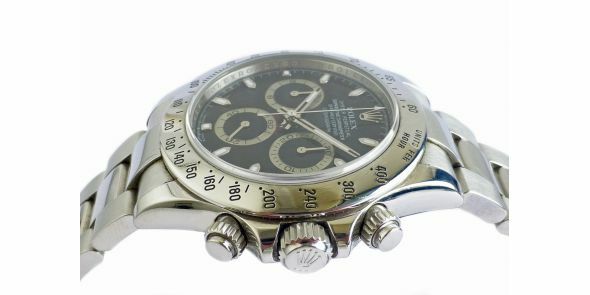 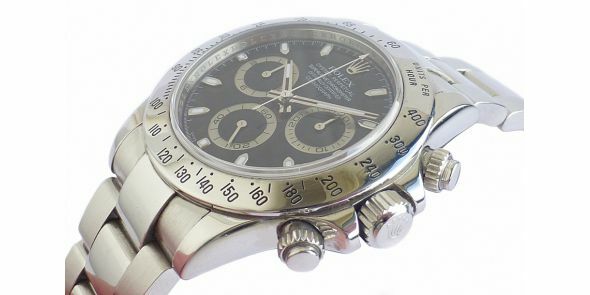 Mint condition Rolex Cosmograph Daytona model reference 116520. 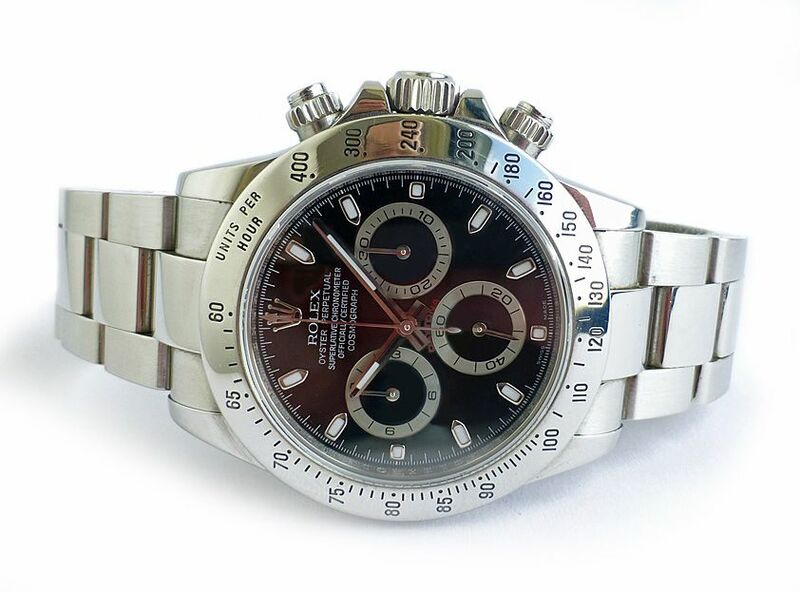 It is a M serial watch dating to 2008 and originally purchased from Authorised Rolex dealers, Arthur Kaplan Jewellers in Johannesburg, South Africa. 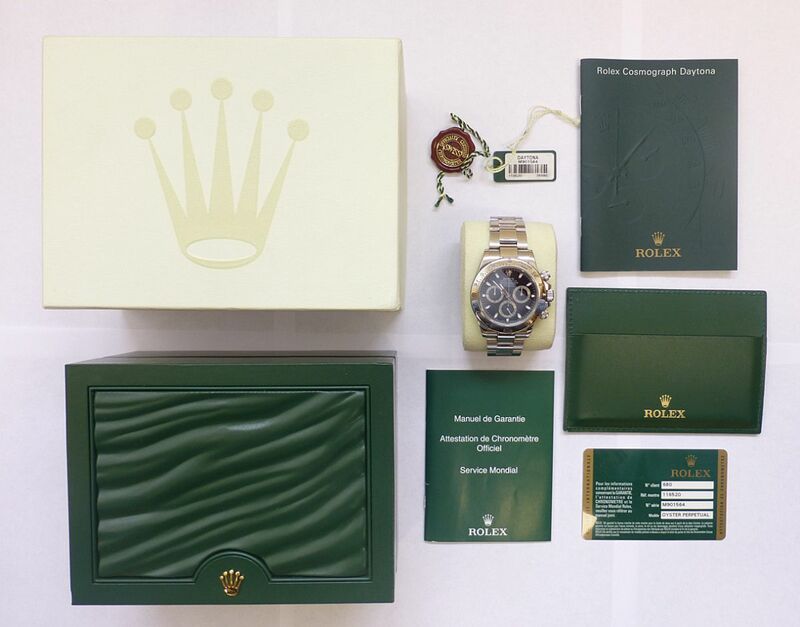 It comes with box set, warranty card, wallet, booklets and hang tag and chronometer tag. 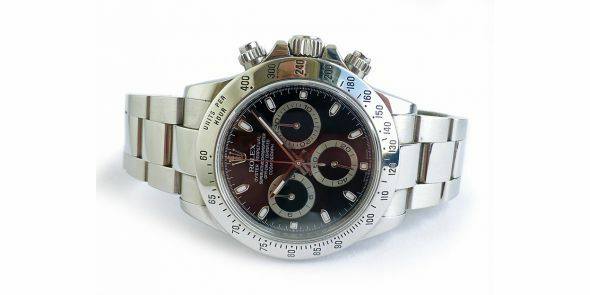 This is the latest version of the Daytona with the Rolex in house movement.Â The Daytona is one of the worlds most sought after wristwatch.Â This is due to the fact that it carries on a long line of Rolex motor sport tradition with the Daytona, and the watch has had an association with sports and racing since the 1950â€™s.Â It has also been seen worn by many film stars and celebrity racing drivers.Â In addition the watch sports rugged good looks and is simply an stunning looking wristwatch-h with a sporty look and feel as well as having has a practical side to it with its twelve hour chronograph and tachometric bezel.Â As well as this, Rolex manufacture so few of the Daytonaâ€™s that they are very rare and difficult to get hold of.Â Typically there is a minimum of 5 to 7 year waiting list, however there are more becoming available these days and the waiting list has sometimes been reduced to just a very speedy 3 years. 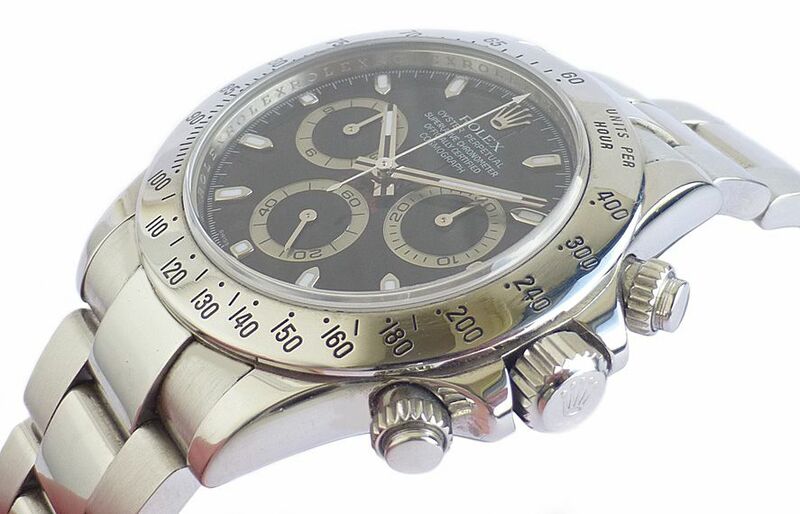 Pre 2000 they had the Zenith el Primero movement, post 2000 they had the Rolex calibre movement. 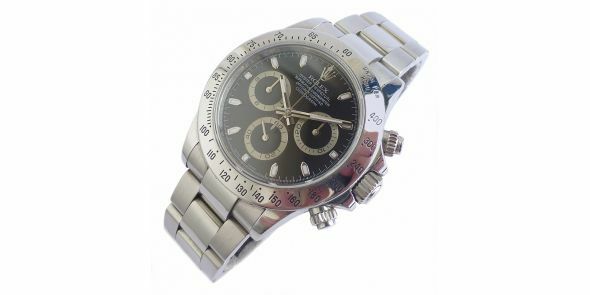 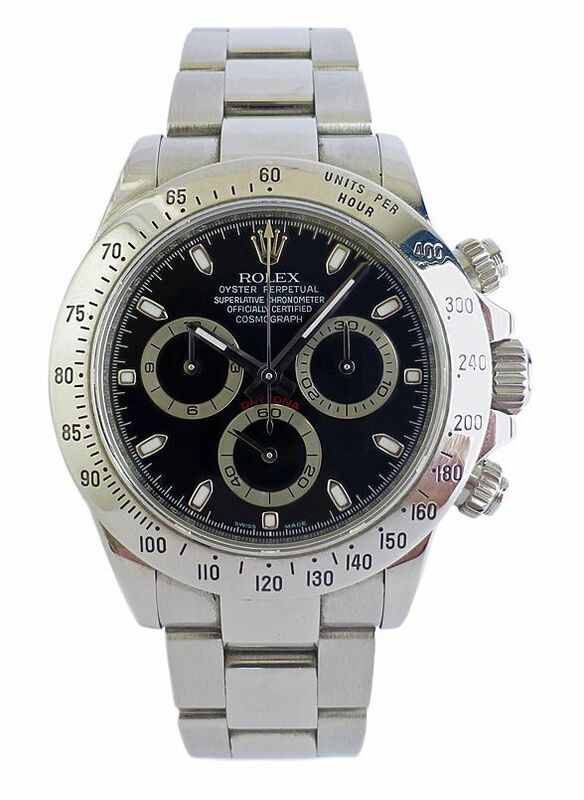 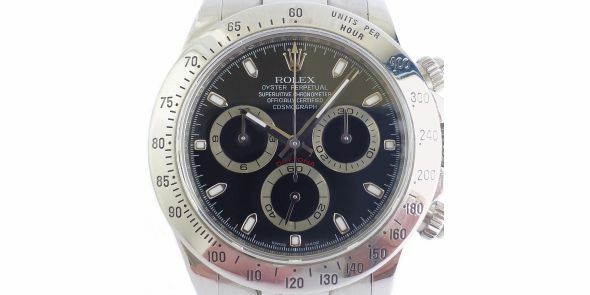 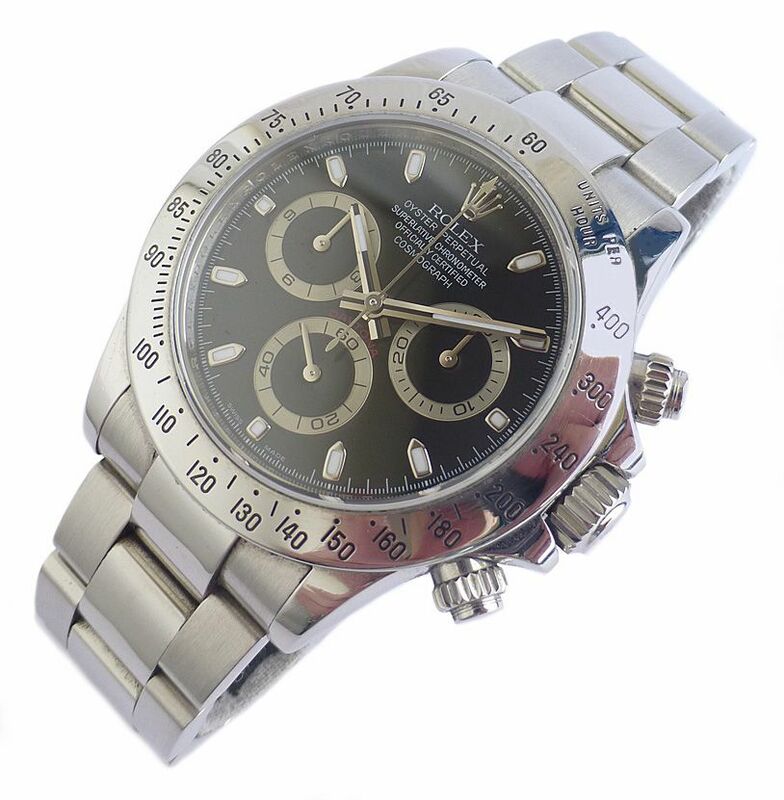 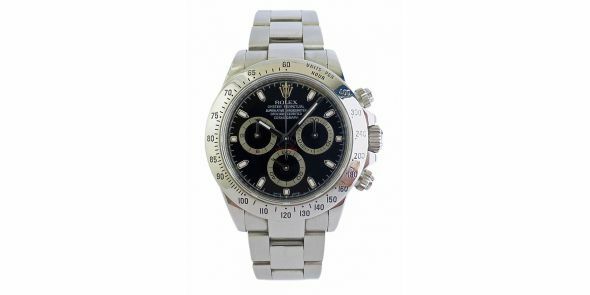 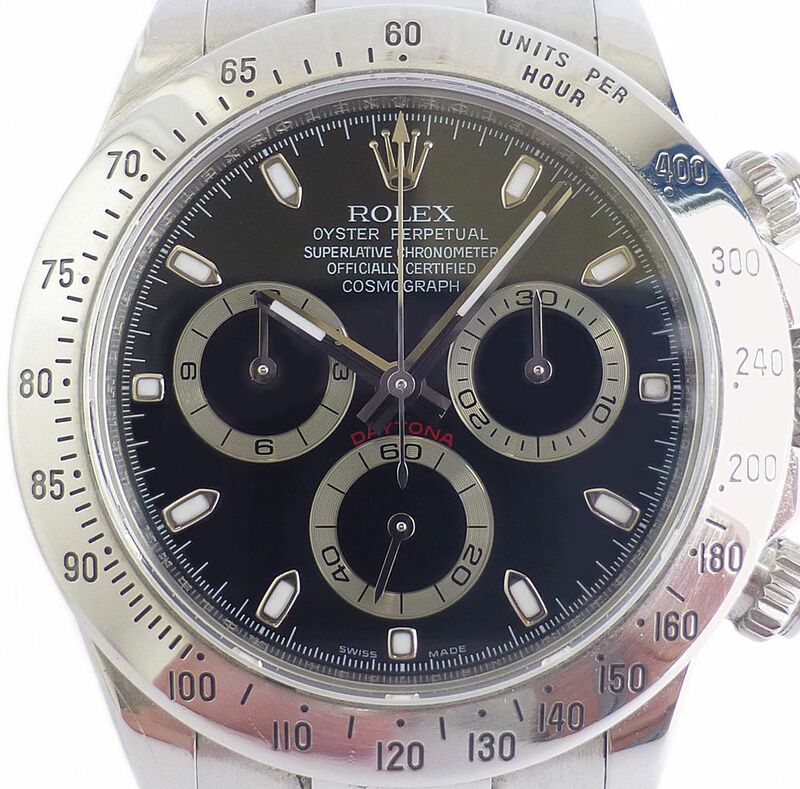 This one being post 2000 has the Rolex in house movement.Â The Daytona is one of the ultimate status symbols, and if you have the money to spare then why not.Â The watch naturally has a scratch resistant sapphire crystal, and has a screw down crown and screw down pushers making it a water proof watch to add to the spottiness of it.Â It is a watch for all occasions, designed to take the knocks, but on such a watch that seems a waste â€“ it needs to be treasured.Â It comes with all boxes, papers chronometer certificate and less often seen instruction booklet on, Rolex Cosmograph Daytona Oysterlock Bracelet. 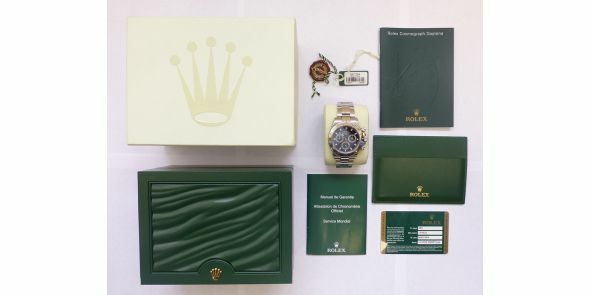 Dimension are: 40 mm excluding crown, 43 mm including crown and 47 mm lug to lug and thickness is 14mm.